Auf dem Pier stand eine Aufnahme von Leuten, die Spaß hatten. Standing on the pier took a shot of people having fun. Beautiful! I love the play of the light on the water. 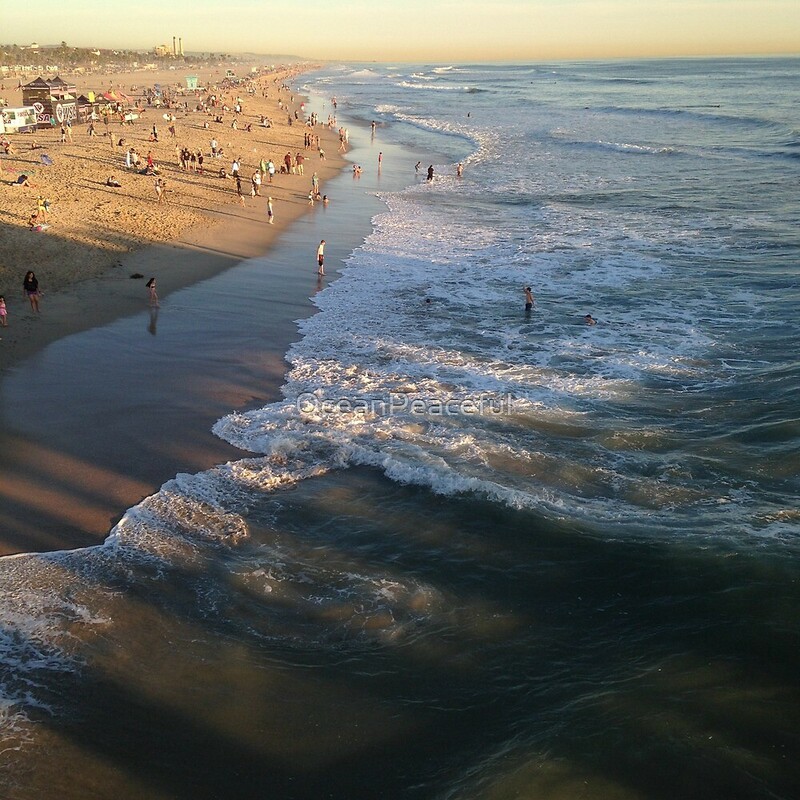 Huntington Beach is truly beautiful! The incline of the land into the sea is especially prominent in your capture. That and the depth, being drawn into the scene and its far point, are what I like especially!